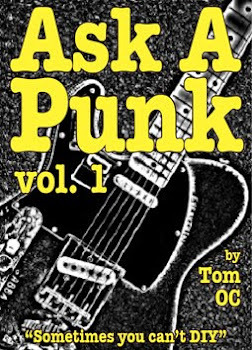 Ask A Punk: The Show must Groan On. The Show must Groan On. My band has been playing together for eight or nine years. I could find the exact date of the 1st gig, but it is very late and I'm too tired to go digging around for it. The point is I feel like I'm getting fed up and want to quit this band, but I just can't. The reasons I can't quit are complicated I guess, but the reasons I want to are simple enough: I'm sick of some of the members of the band, I'm sick of some (most) of the songs we play gig after gig. I'm sick of being just about the same as we were six years ago. I feel like nothing is happening for us, and I'm not talking about getting rich or anything that simple - although getting paid more often would be nice. I'm talking about just the boredom of the same thing. It feels like instead of climbing some punk rock and roll ladder, which would be fine as long as we were still climbing, I feel like we're on a treadmill. Going nowhere. It seems like everyone else in the band is fine with this, and are still having a good time, but I'm not. But I know that if I were to quit I would feel like a traitor - promises were made, sacrifices have been made by everybody. I can't just quit, but I'm very unhappy, have been for a while and am getting more and more unhappy with the situation. What should I do? - I Feel Trapped. The easy and short answer is this: Quit the band. Do it now and I can almost guarantee you that in six months you'll wonder why you hadn't done it years ago... but easy and short answers aren't the way we tend to do things here at AAP, so if you're still reading, let's go a little further/deeper. You said the reasons you can't quit are 'complicated,' well, human relationships in general and band relationships in particular, are always pretty complicated - What makes your situation so special? Do they have your soul trapped in a jar somewhere and won't give it back? Are the other band members your brothers and sisters? Sometimes the biggest thing keeping us from making radical changes in our lives are our own fears about the change... and we hide these behind a veneer of other "issues" that really have nothing to do with that basic underlying fear. I hate to use my oft-used complaint about 'Not Enough Information' but man, I would really like to know two things especially: 1) How old you are and 2) what do you play/do in the band? Very often that feeling like you're "not getting anywhere" is more due to your own advancing years than it is to the band. If you find yourself thinking "I thought by now we would be ________ " that is a fairly sure sign that the timeline is what's really bothering you. Are you worried that, if you quit this band you won't have the time to 'start from scratch' with another group of people? 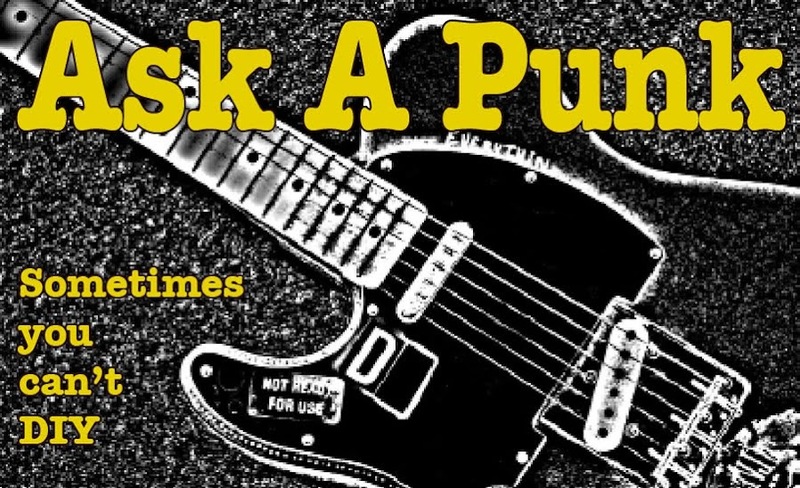 I asked what you play/do in your band because, if you're a bass player or a drummer, I'm sure you KNOW that you could find a new band for yourself in a matter of days... If fact you would probably have several to pick from... but if you're a lead singer or a rhythm guitarist, well, your choices will be much more limited. At this point though, it sounds like you're pretty burnt out on playing in any band. These things happen too. Maybe you just need the chance to miss it... or maybe you really are done with it. The only way to find out is to take the risk and walk away. I don't care what "promises were made" to your bandmates, you don't owe them your life. If you're deeply and continually unhappy in the situation, being a martyr for the group ultimately won't do anyone all that much good. If you're not into it, it will show in your playing, and your baseline feelings of misery and indignation will eventually rub off of the rest of the band, making everyone miserable. What fun is that? What you DO owe your group is this: advance warning. After nine-ish years of playing together, it would be a pretty low-ball move to just walk away tomorrow. I don't know how your group tends to discuss things - over beers in your favorite bar or via email etc... but you need to find an appropriate moment, when everyone is present and ...just ...tell ...them. You don't have to go into reasons, which to them will sound like blame. You just have to tell them you're sincerely done and that you want to quit... and then you have to give them a concrete future date (say 3 to 6 months in the future) that will be your "last gig" with them. ...and stick to that date. Do not postpone it. This tactic should give them enough time to find a replacement for you. It will give them all time to get used to the idea of you leaving and to go from anger etc to acceptance. It will also give YOU a chance to get used to the idea of leaving and, more importantly, give you some time to enjoy playing with your band again, knowing that it will all be ending soon (for you anyway) ....and just maybe that last gig together will be a celebration of all that you DID accomplish together as group. After that, your life will be your own again. Maybe you'll start a new band, maybe you won't... but hopefully you won't have lost your friends.